Consider the relative modifying effect of different risk treatment options. There is a need to develop cost effective monitoring and assurance arrangements. 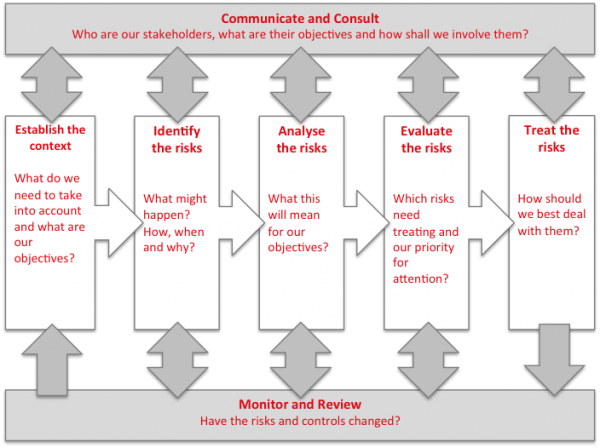 In all cases, risk assessment should be preceded by a process to ‘establish the context’ that allows the risk assessment approach to be tailored to the decisions being made and the organisation’s risk criteria. This step also enables the risk assessment to be structured properly to ensure it is comprehensive and suitably rigorous. A skilled and independent facilitator from Broadleaf can obtain the optimal outcomes where you need support for the most critical decisions in sensitive or complex situations. We conducted a risk assessment for the management team at an oil refinery. The primary objective was to identify risks to the refinery as a business and develop an agreed priority listing of them. A subsidiary objective was to expose the management team to the risk management process. The management team wanted confidence for themselves and their major shareholders that the main risks to the business had been identified and were being managed well.